Slow things down and move at a Floridian pace. Harbor Lakes RV Resort offers a tranquil, tropical lifestyle perfect for anyone looking to relax and get away from it all. 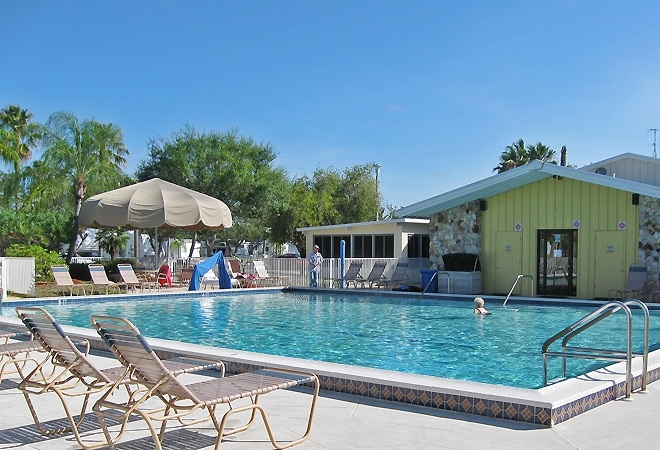 Located on Florida's beautiful Gulf Coast, this Fort Myers RV Resort combines quiet beauty and lively activity, which together create a spectacular retreat. Our resort boasts a convenient location near beaches, shopping, restaurants, fishing, theaters and golf courses. We offer coordinated activities including potlucks, line dancing, co-ed water aerobics and sightseeing tours. Come visit us at Harbor Lakes RV Resort! We look forward to hosting the vacation of a lifetime.